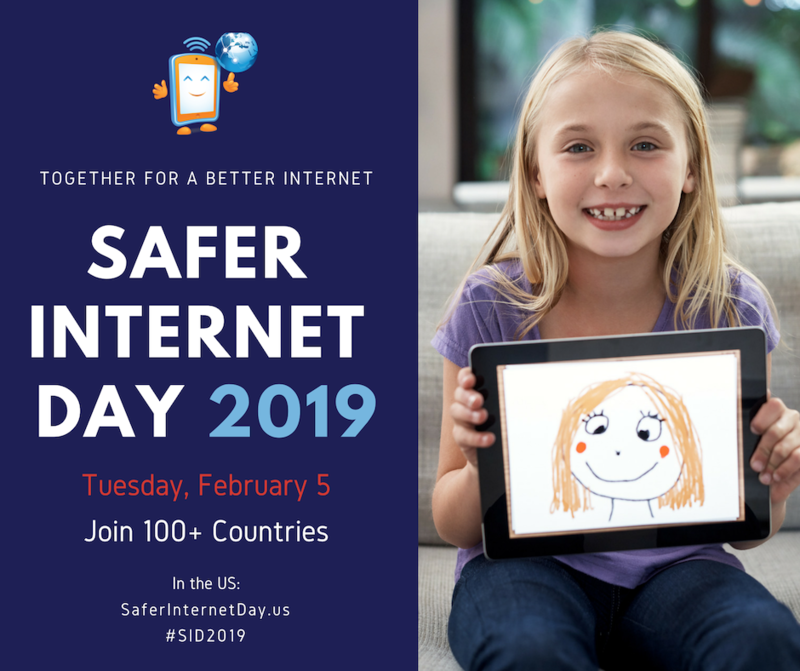 Celebrated each year on the first Tuesday in February, Safer Internet Day aims to bring tools, education and awareness to help create a safer internet experience for all. In this week’s Tech on Tuesday, we show you a few ways you can join in the Safer Internet Day celebration. This year’s Safer Internet Day slogan “Together for a better internet” is a call to action for people to join together to do their part in creating a better internet for everyone, especially for younger users. How can you create a safer, better internet experience? We’ve talked about monitoring your kids’ screen time in the past. This Safer Internet Day, parents are encouraged to have an open discussion with about them about their screen time. Treat online communication like face-to-face communication to encourage thoughtful sharing. If you wouldn’t say it to someone’s face, you probably shouldn’t say it in a post. Create guidelines for your kids to help them understand what kind of communication is and is not appropriate online. Make sure you follow the same guidelines you ask your children to follow. Make sure you secure your secrets with strong, memorable passwords. When creating your password, be sure to use a mix of capital and lowercase letters, symbols and numbers, and don’t use the same password for multiple sites. Make sure you stay up-to-date with the apps and websites your children are using. It’s easier to understand the risks your children face when using an app if you understand how it works.